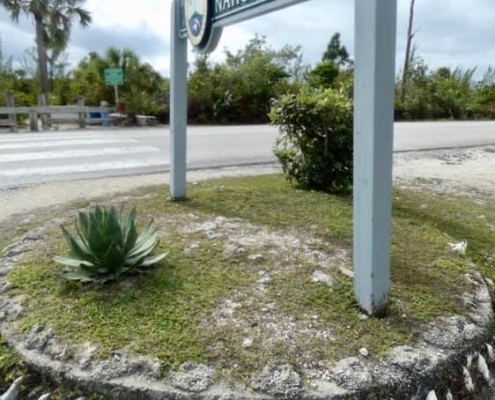 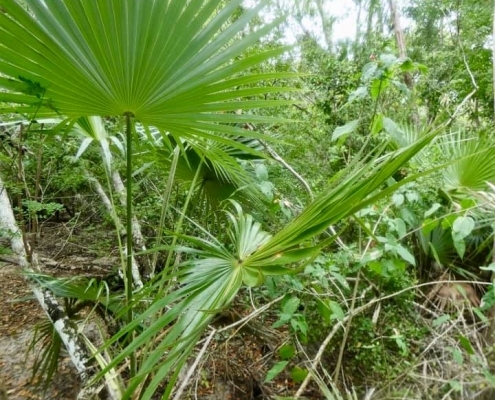 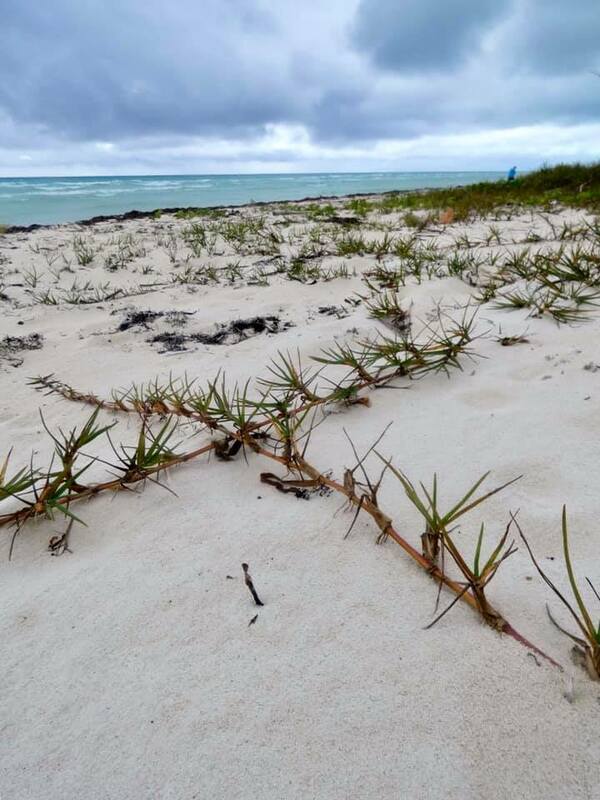 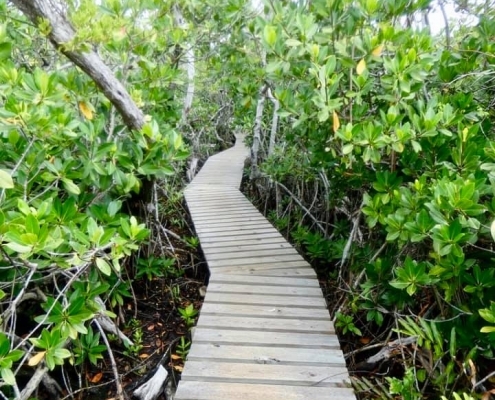 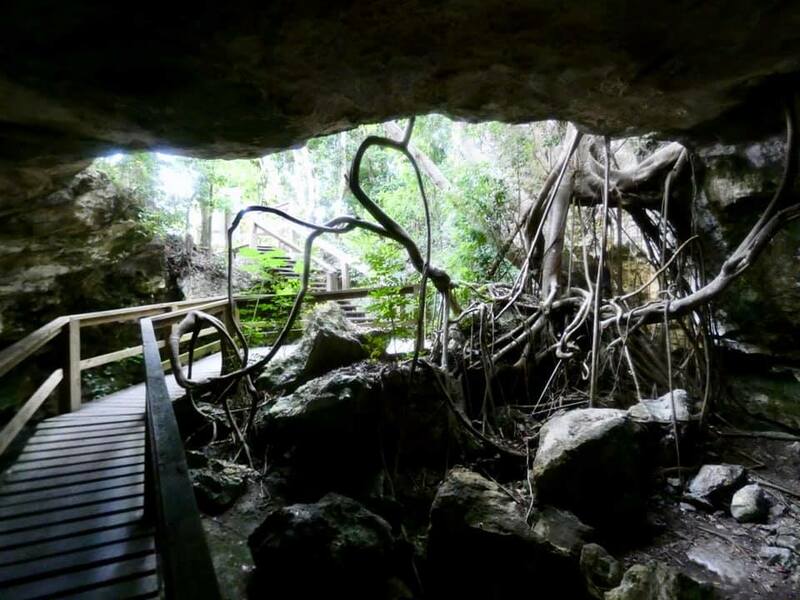 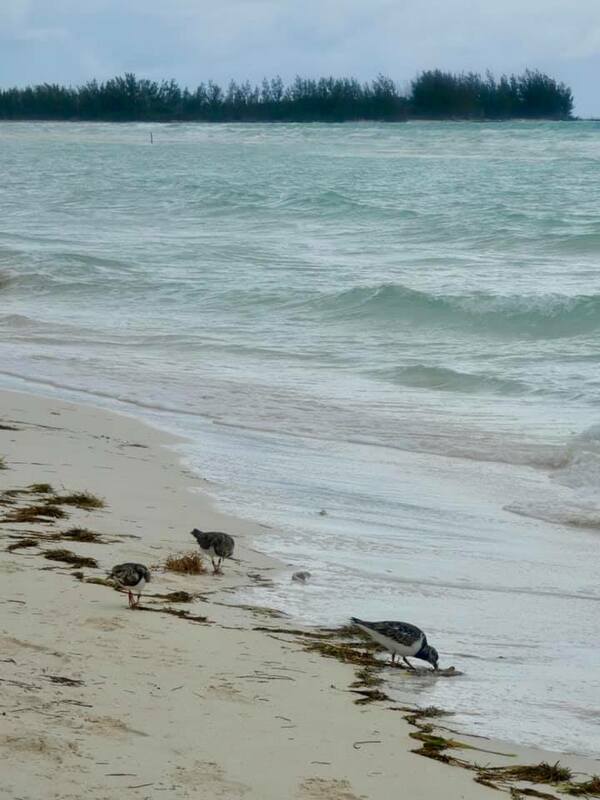 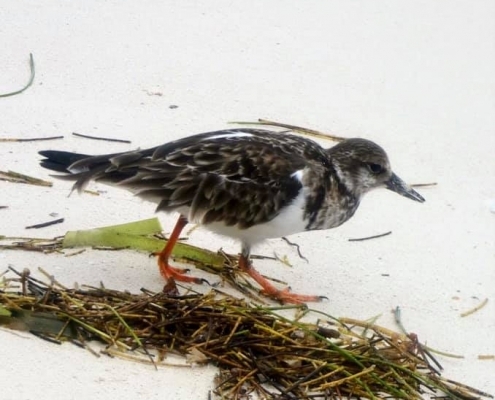 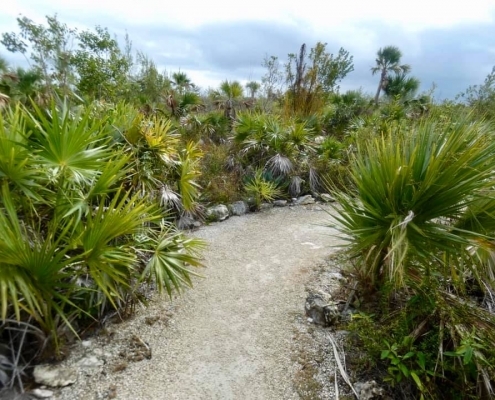 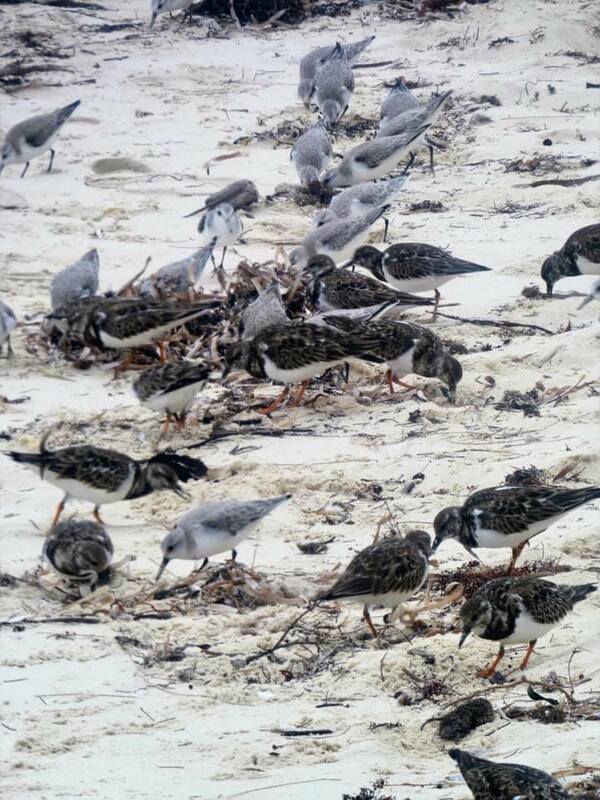 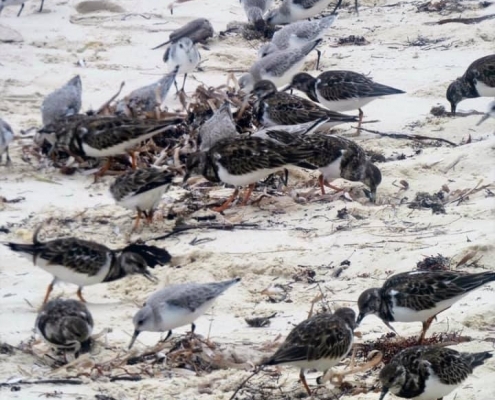 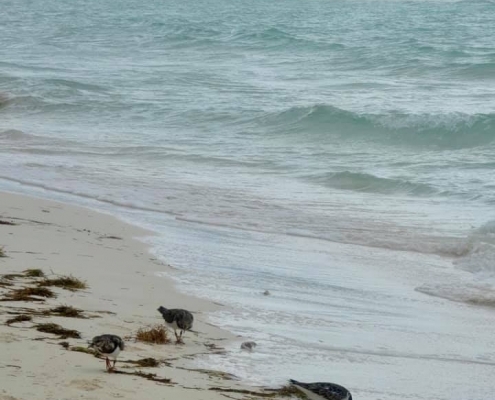 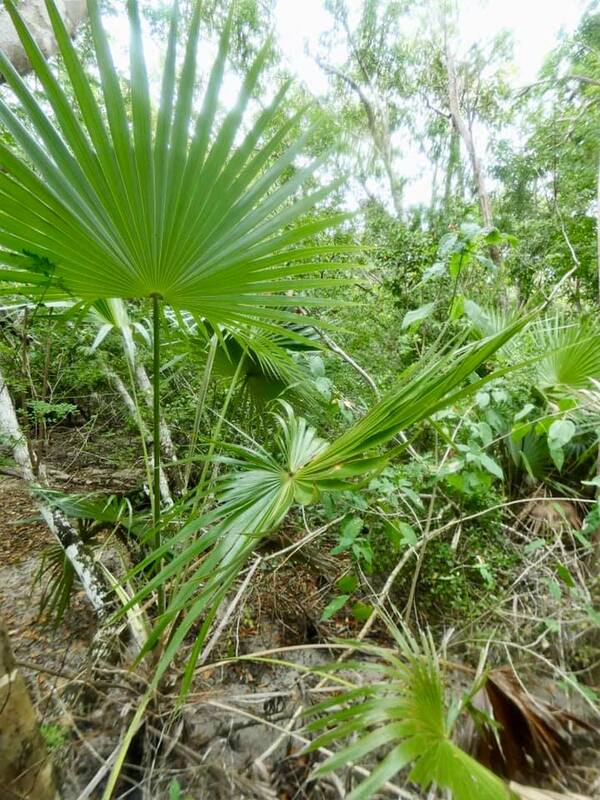 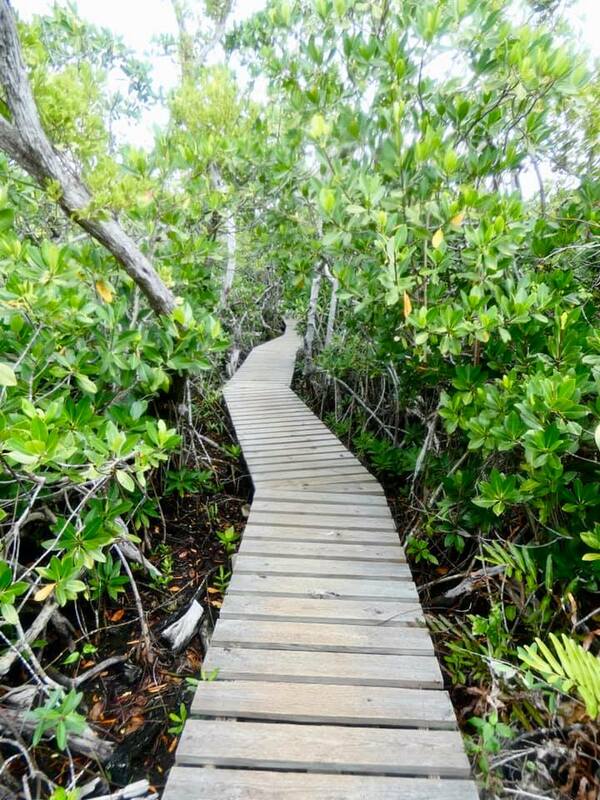 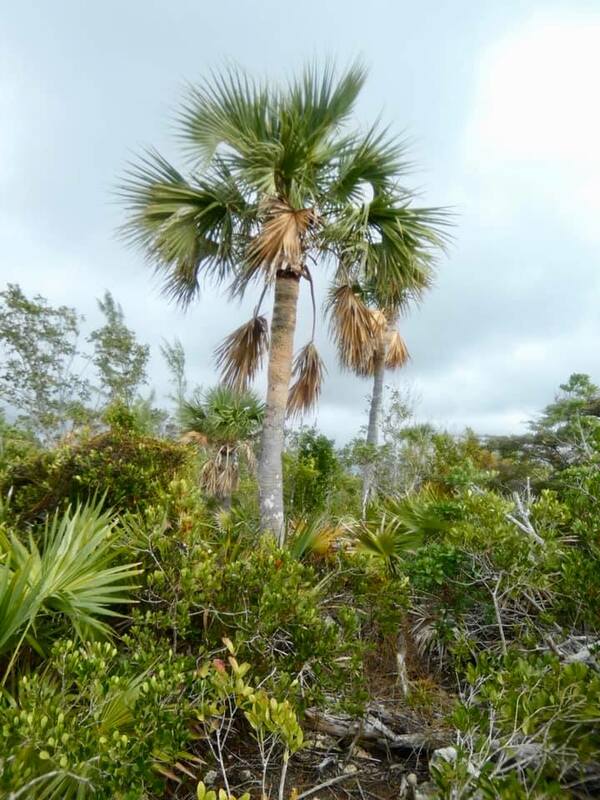 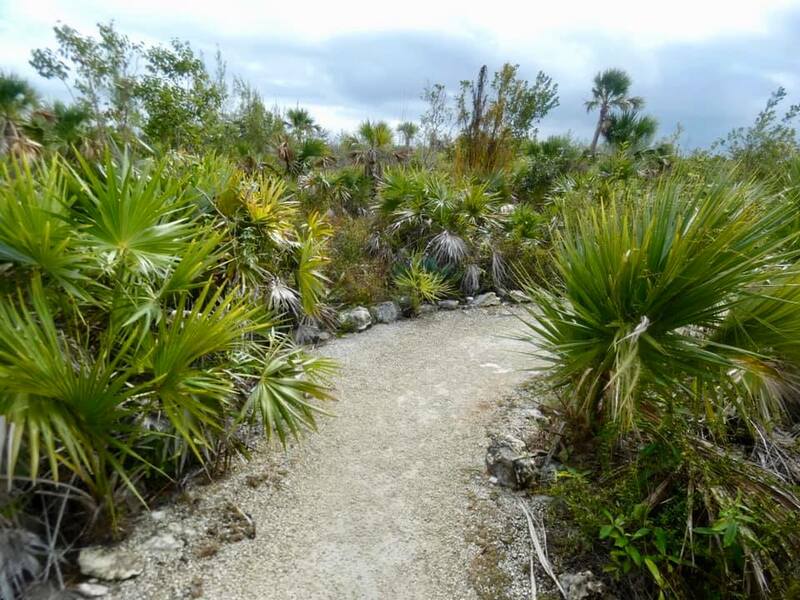 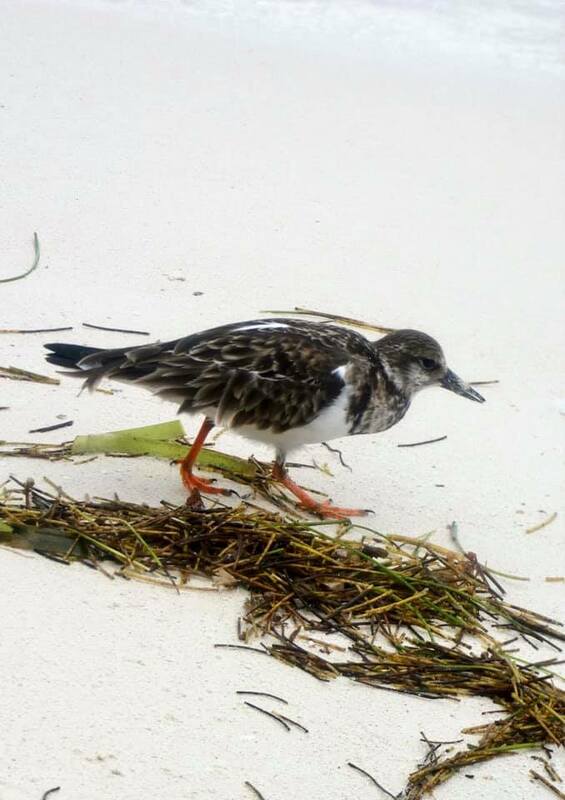 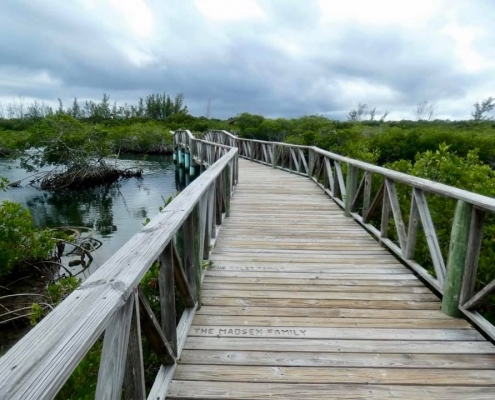 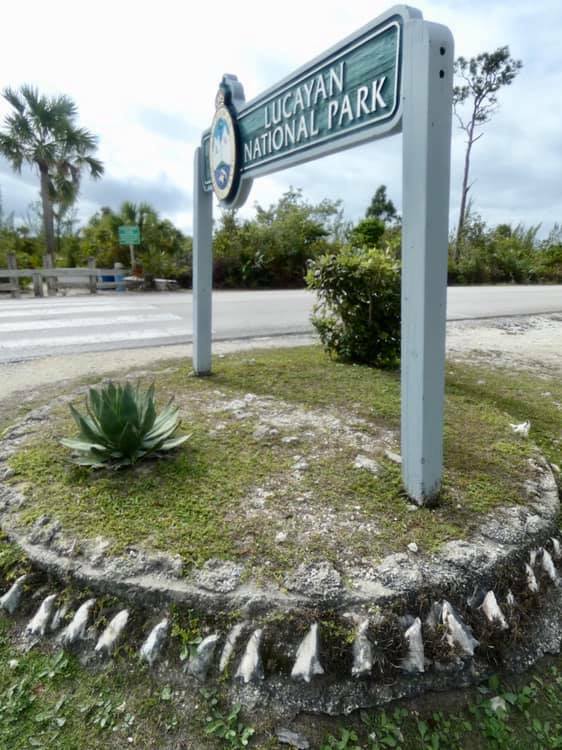 Lucayan National Park is the premier park in the entire Bahamas, the oldest and the most spectacular. 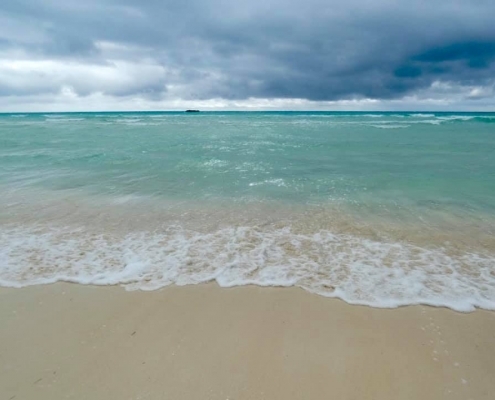 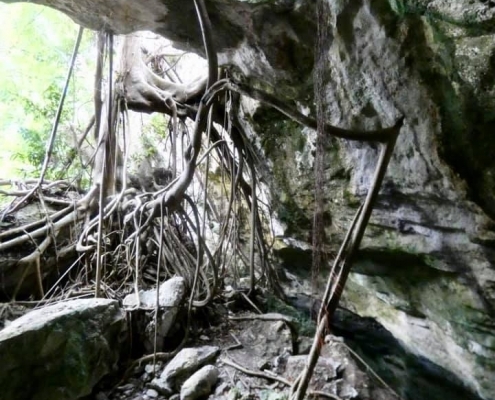 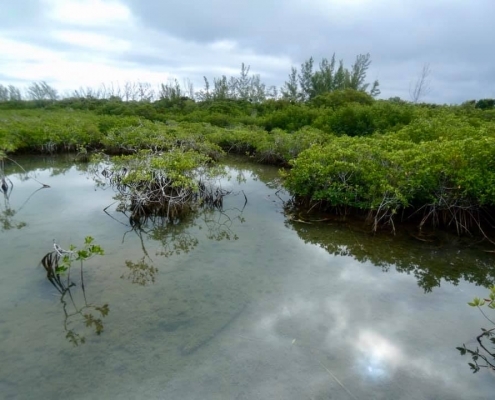 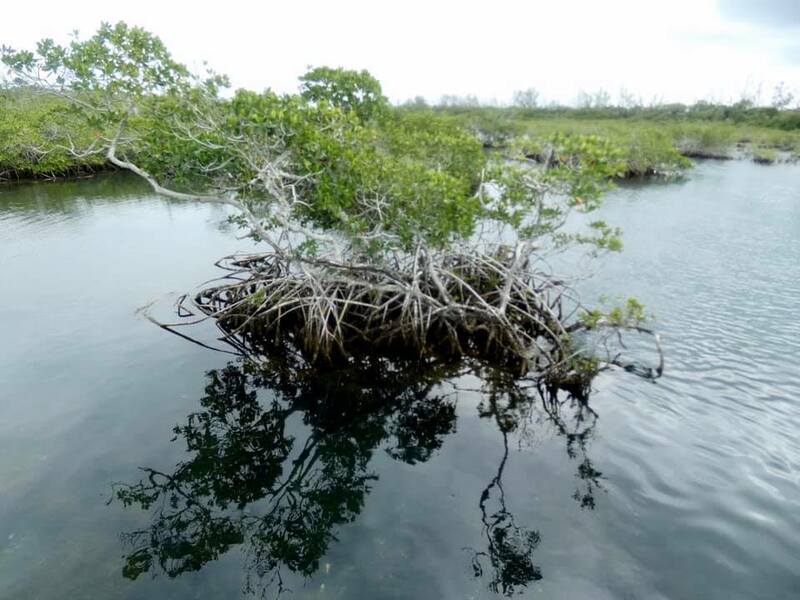 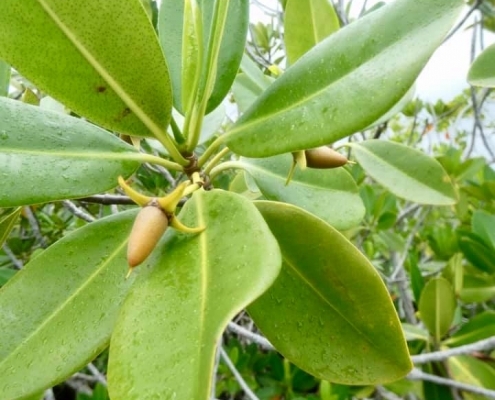 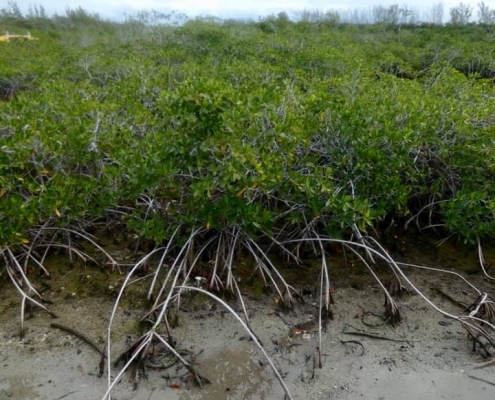 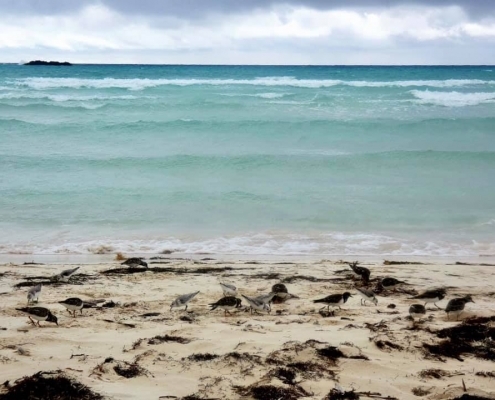 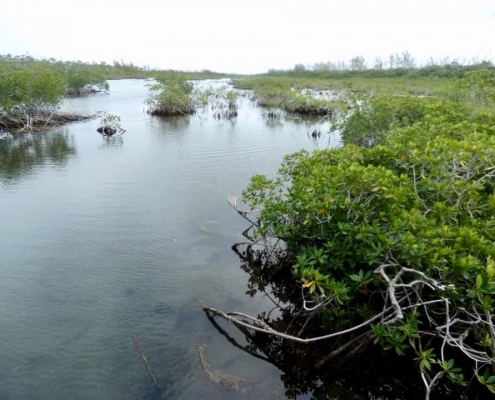 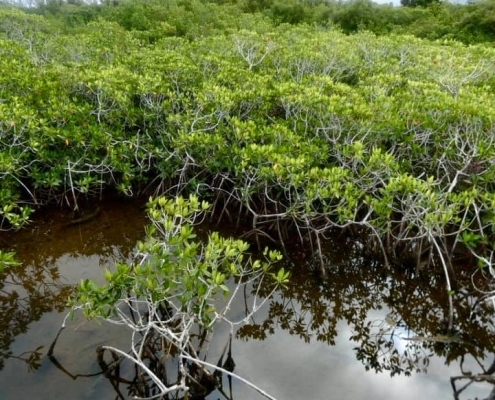 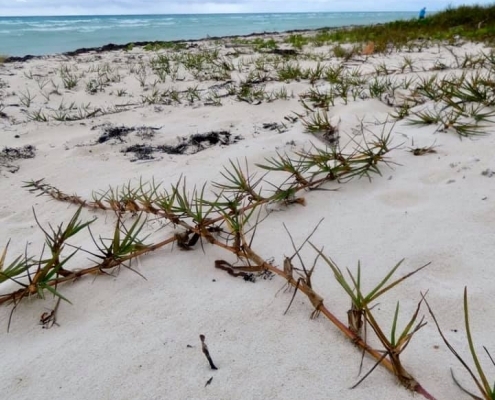 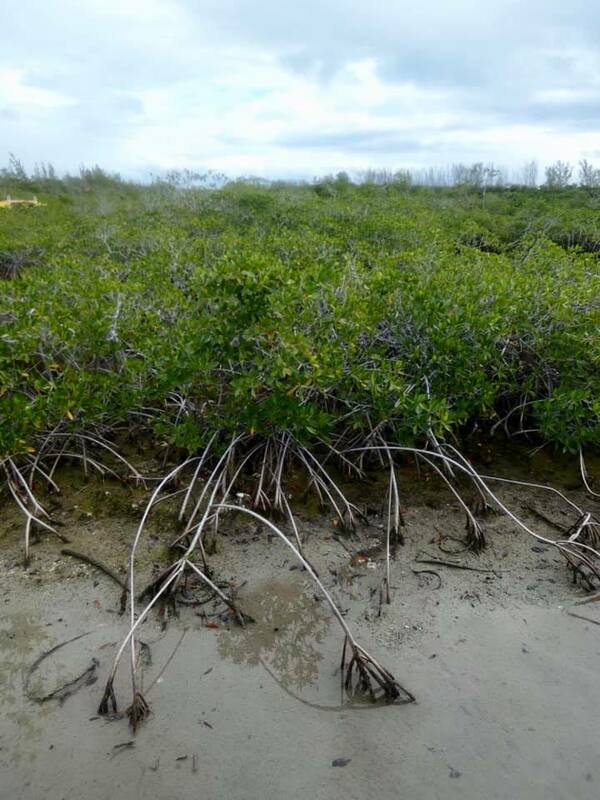 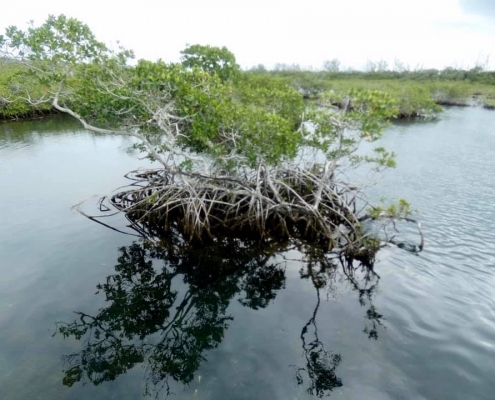 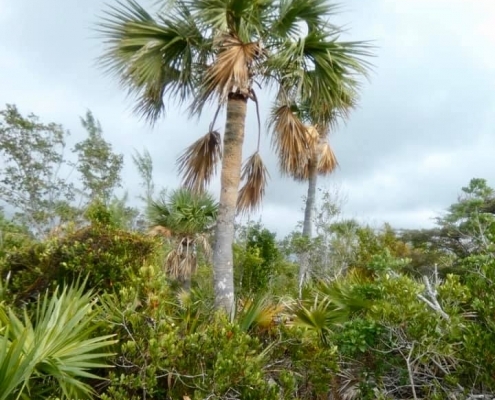 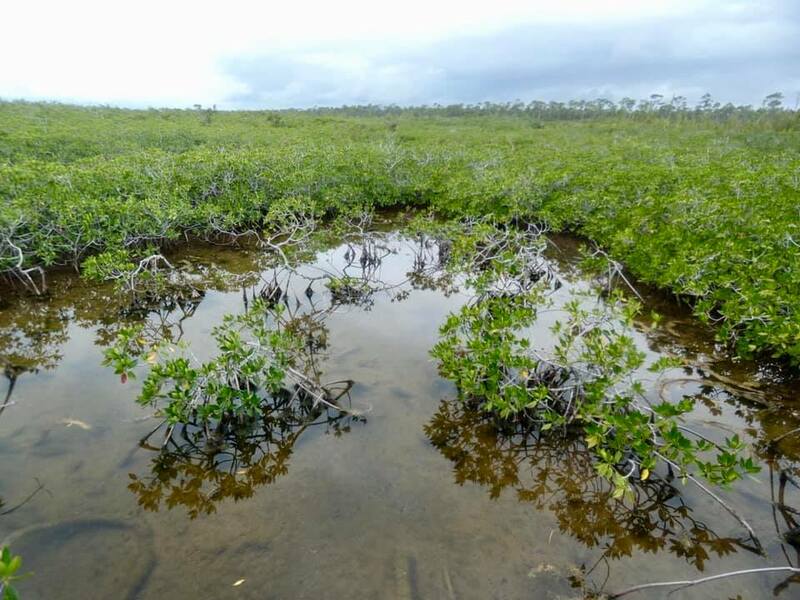 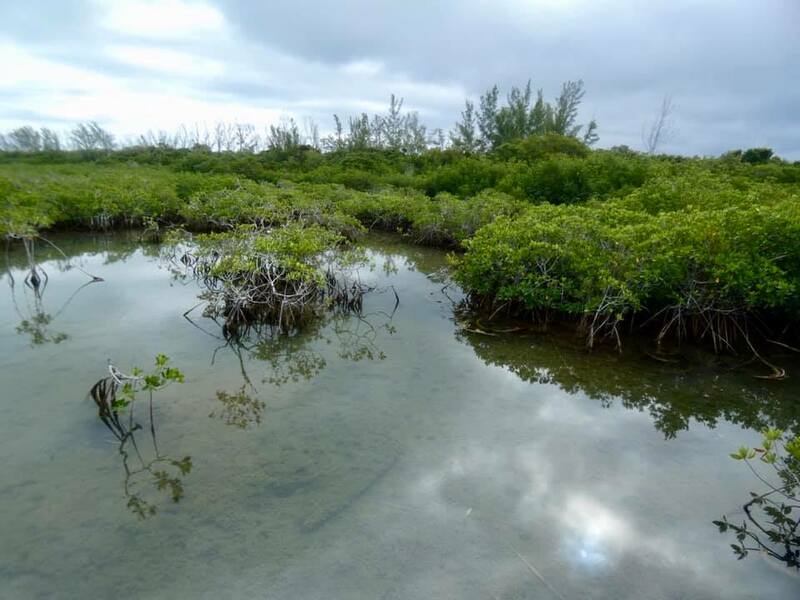 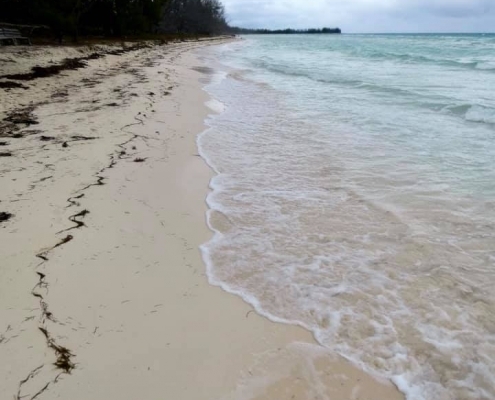 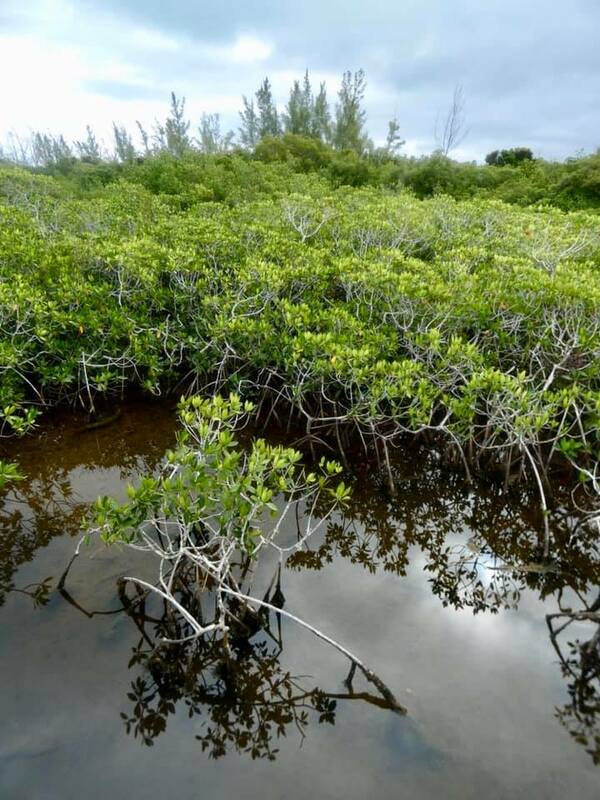 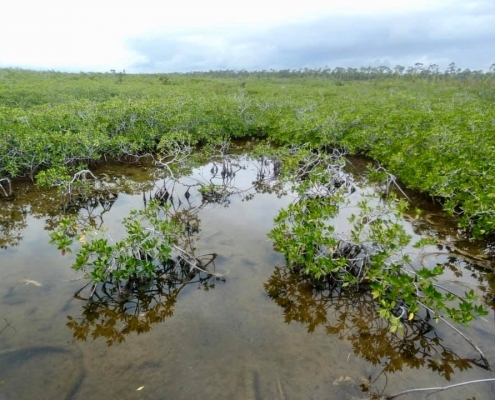 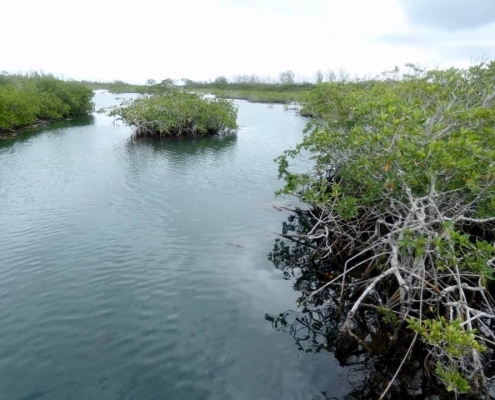 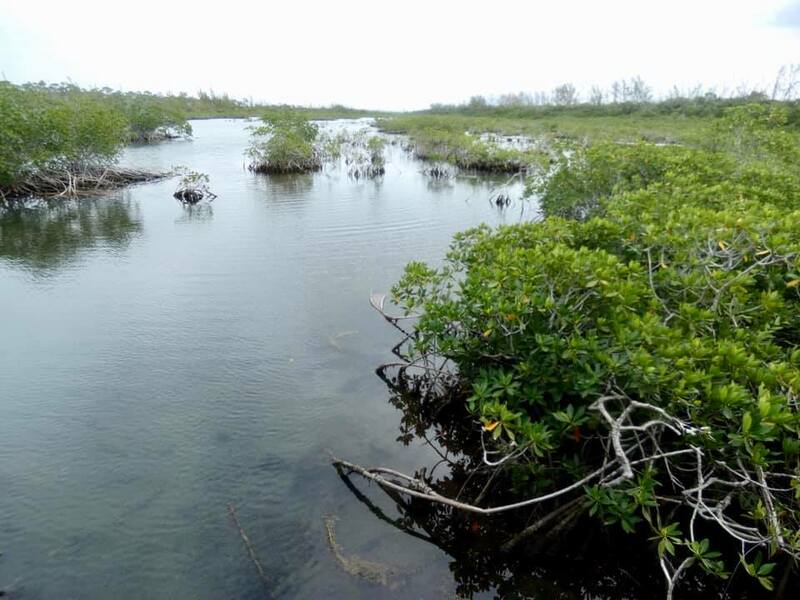 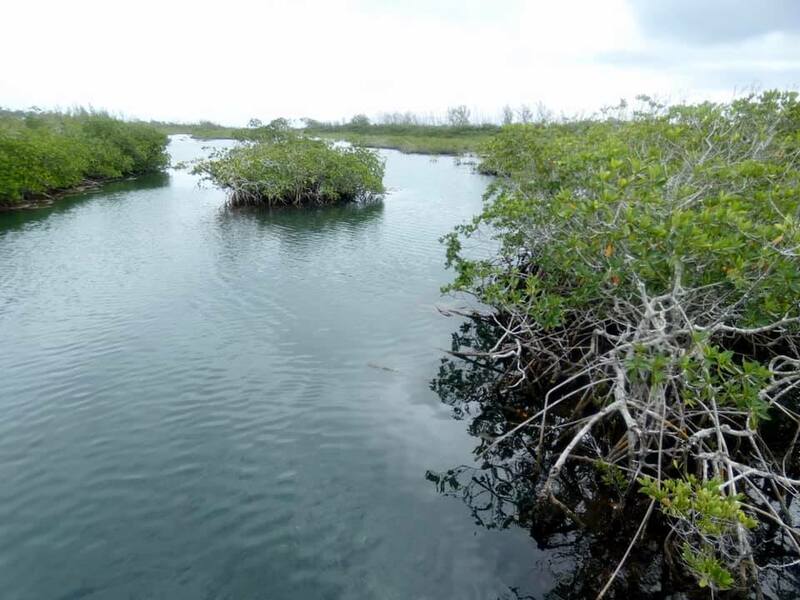 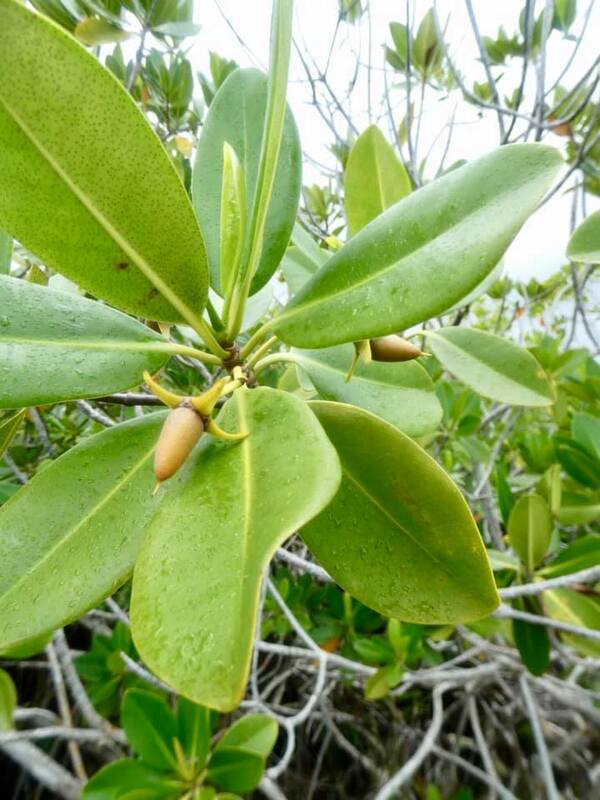 It really preserves three separate ecosystems – underwater caves, mangrove wetlands, and white sand beach. 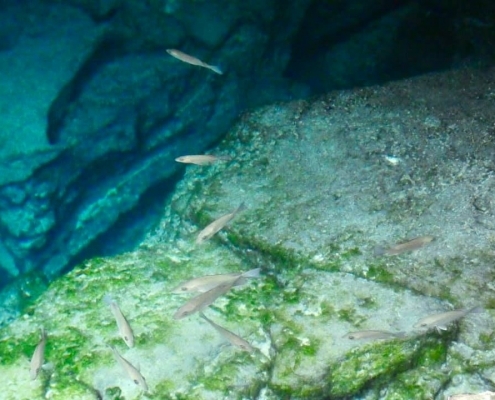 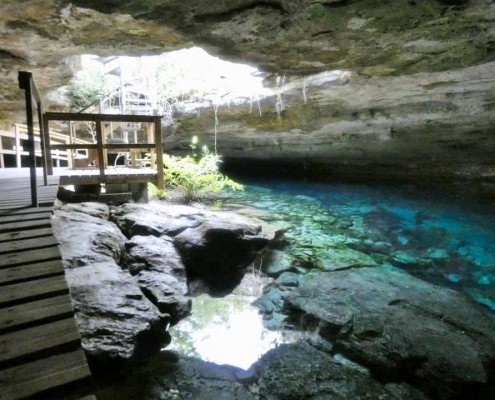 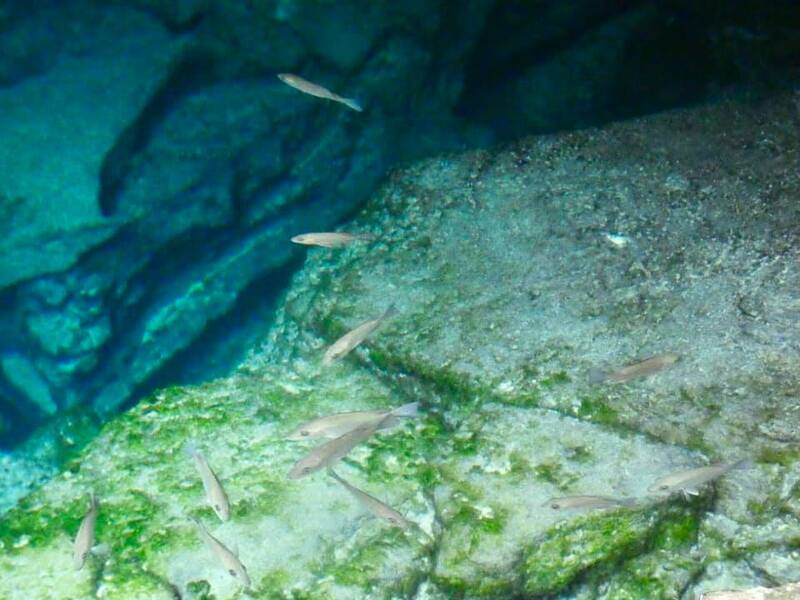 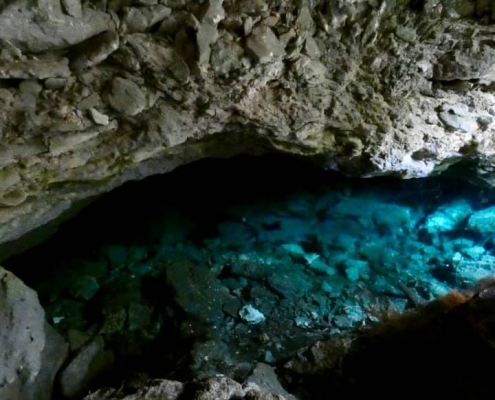 The underwater cave is one of the largest in the world with 10km of mapped passageways. 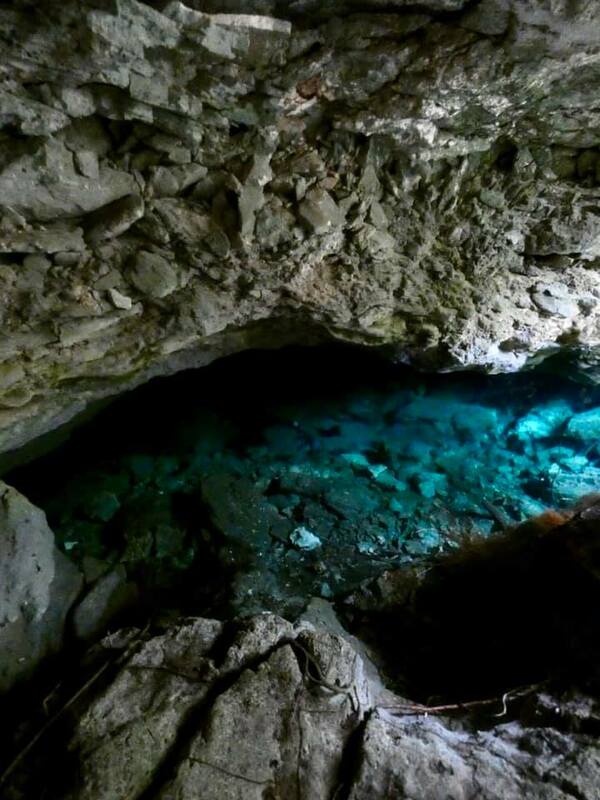 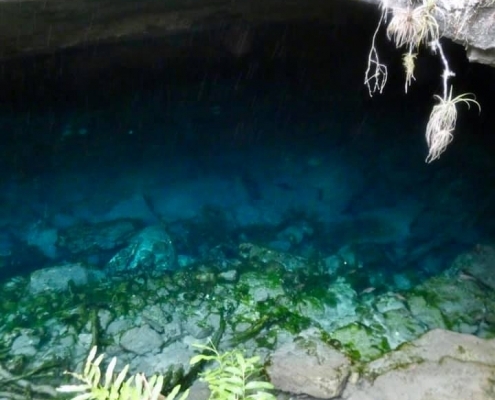 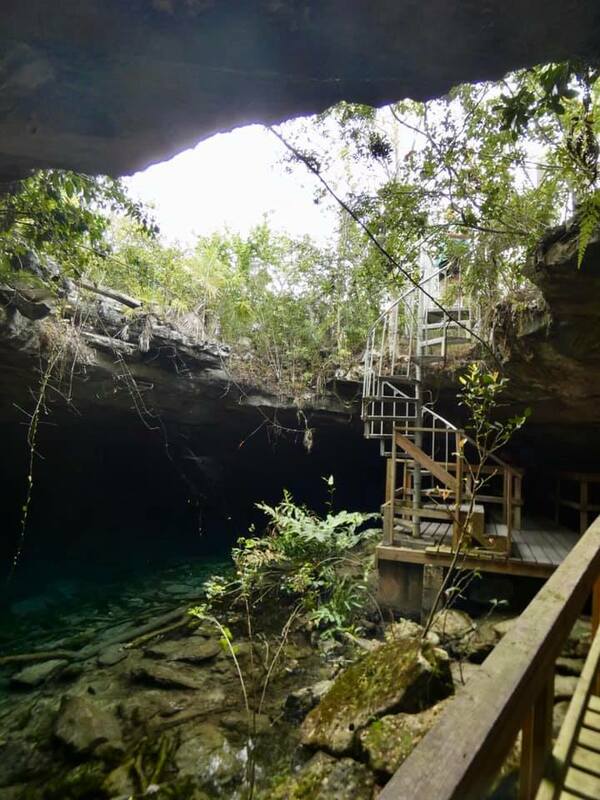 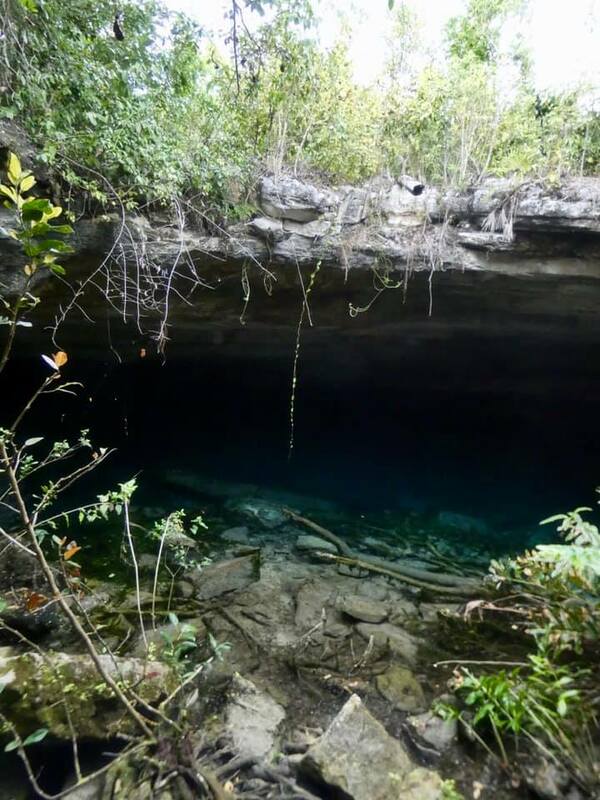 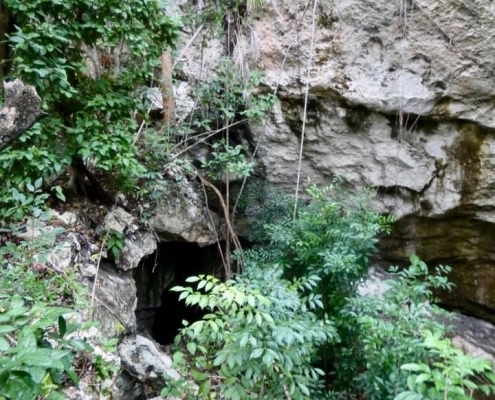 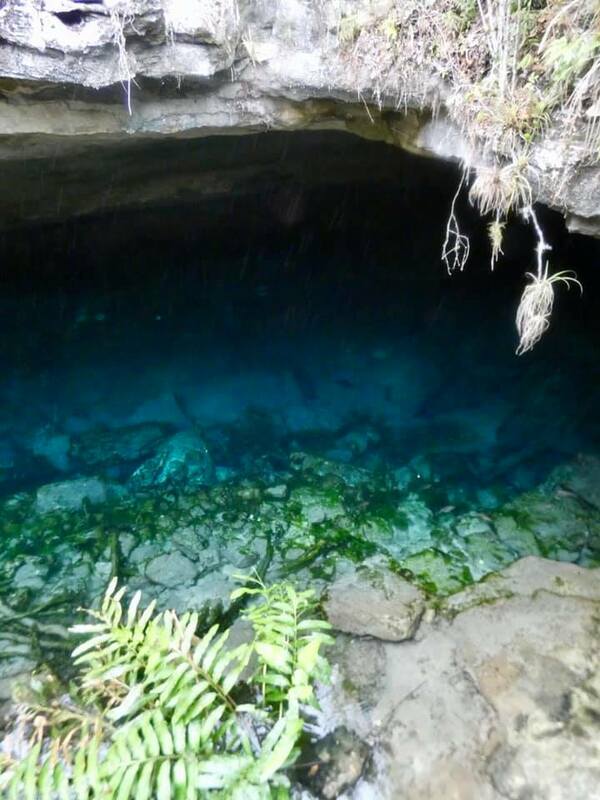 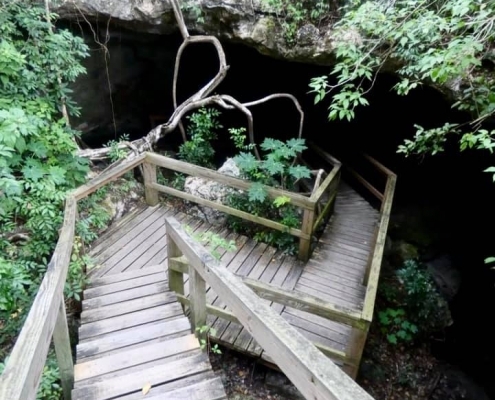 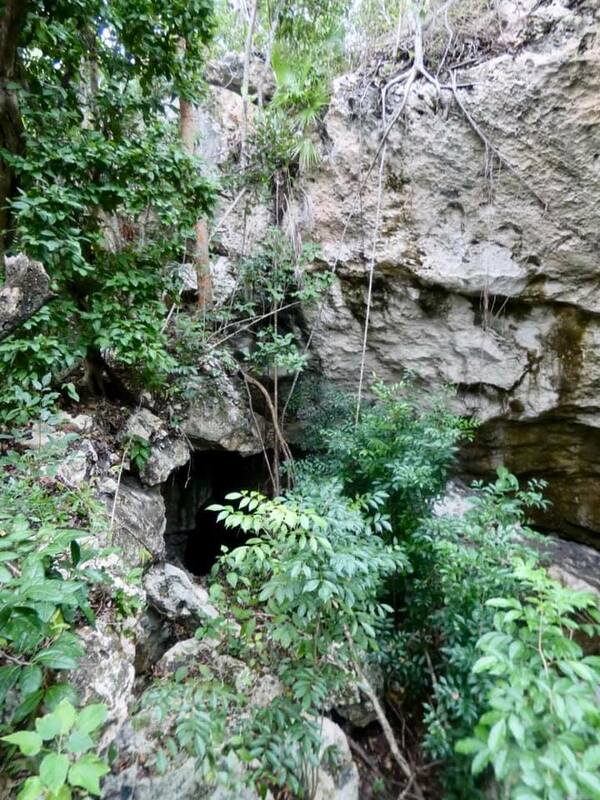 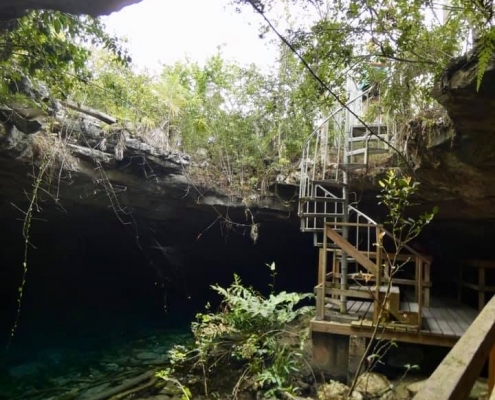 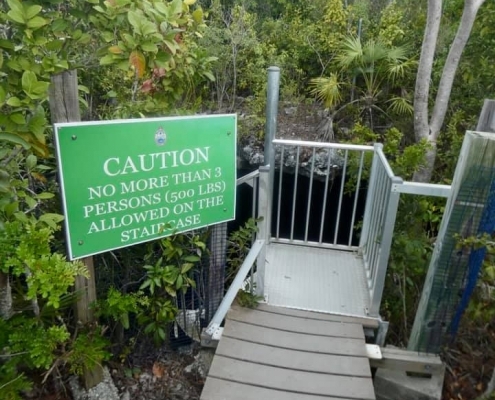 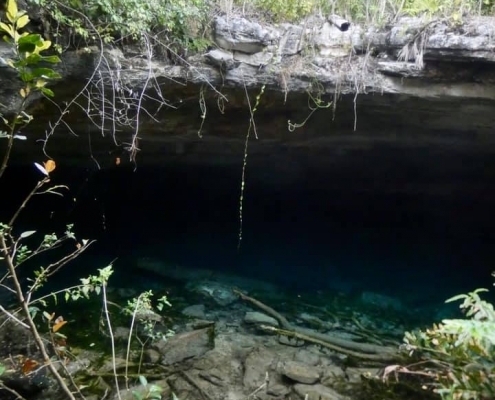 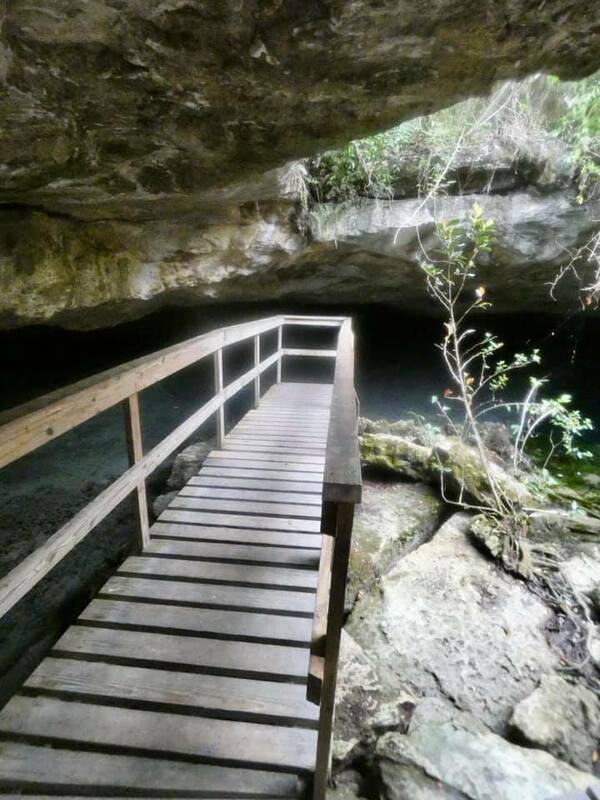 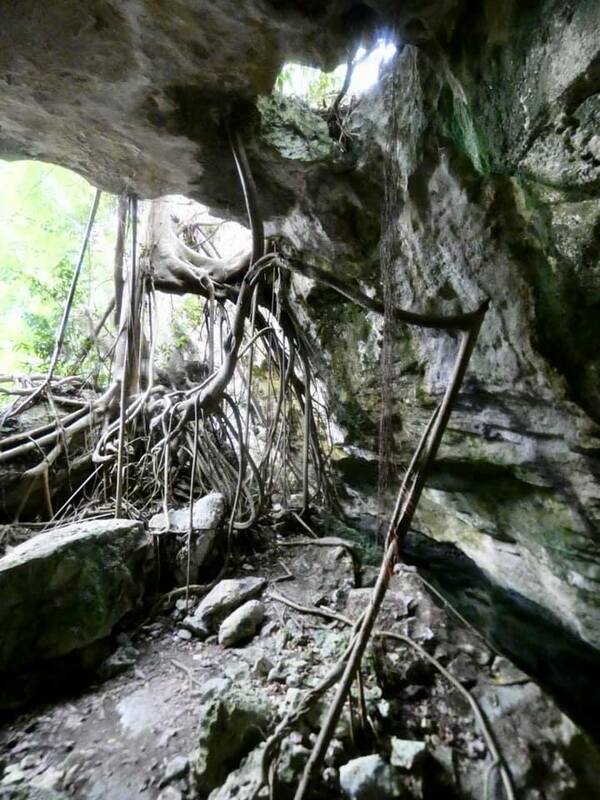 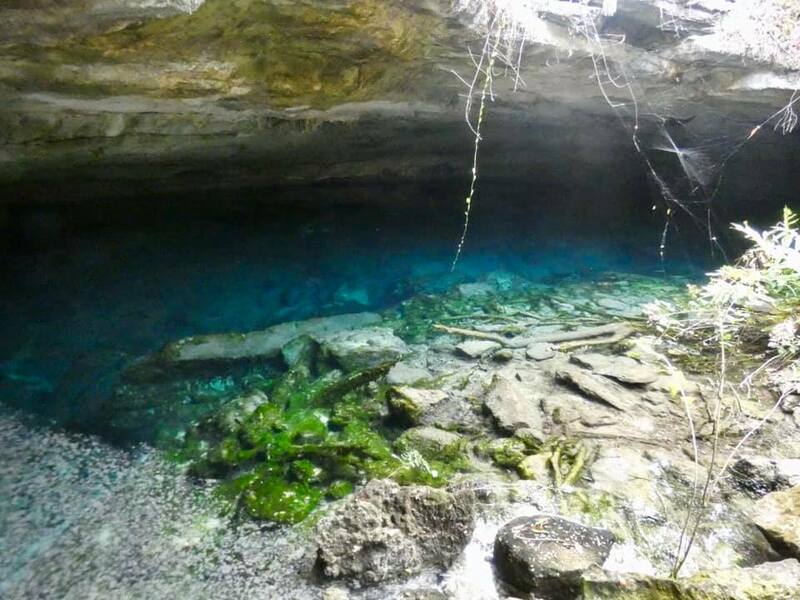 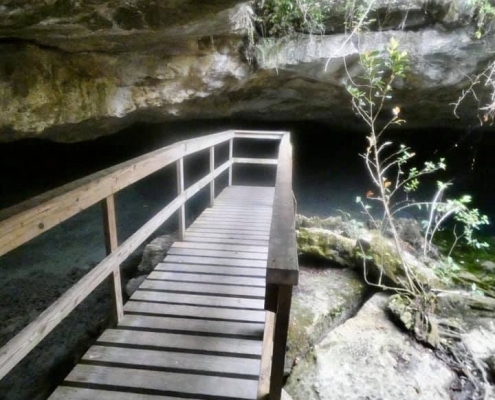 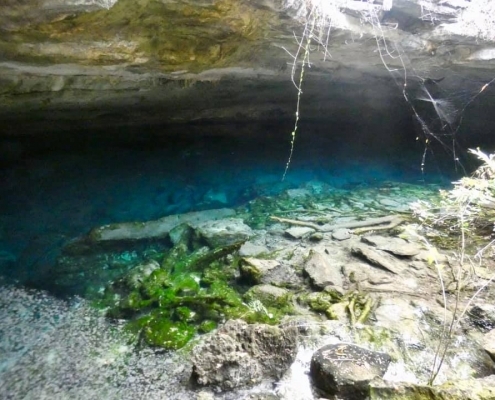 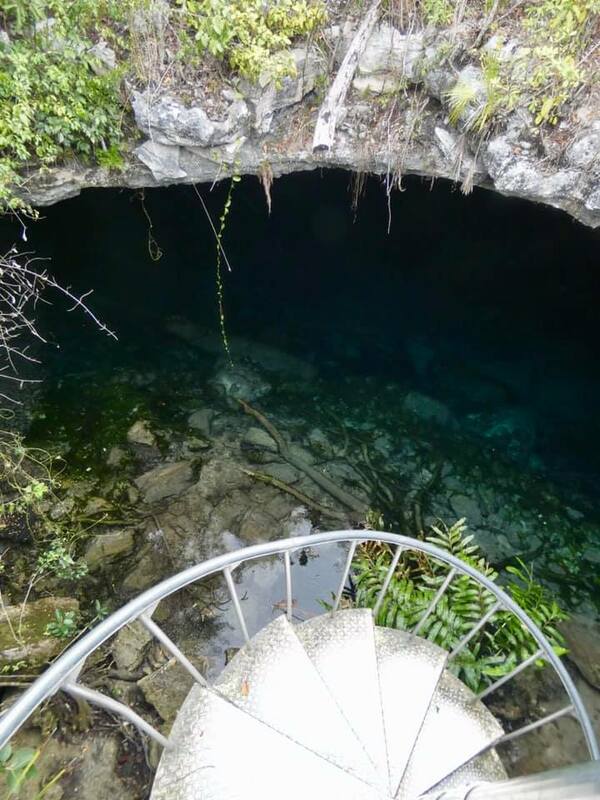 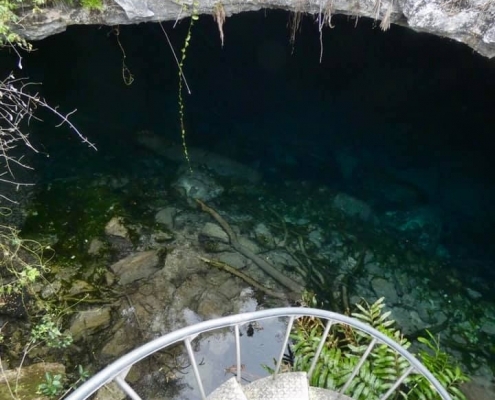 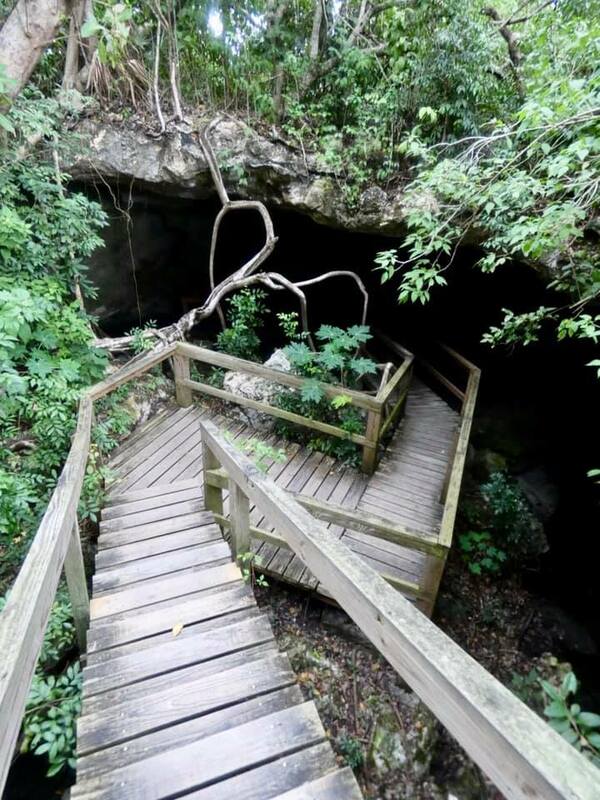 You can access two caves to see their entrances, but to dive you need a special cave diving certification. 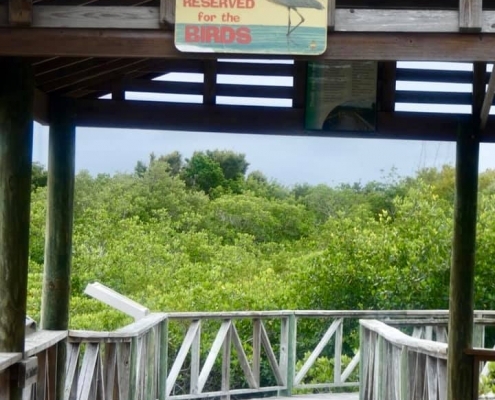 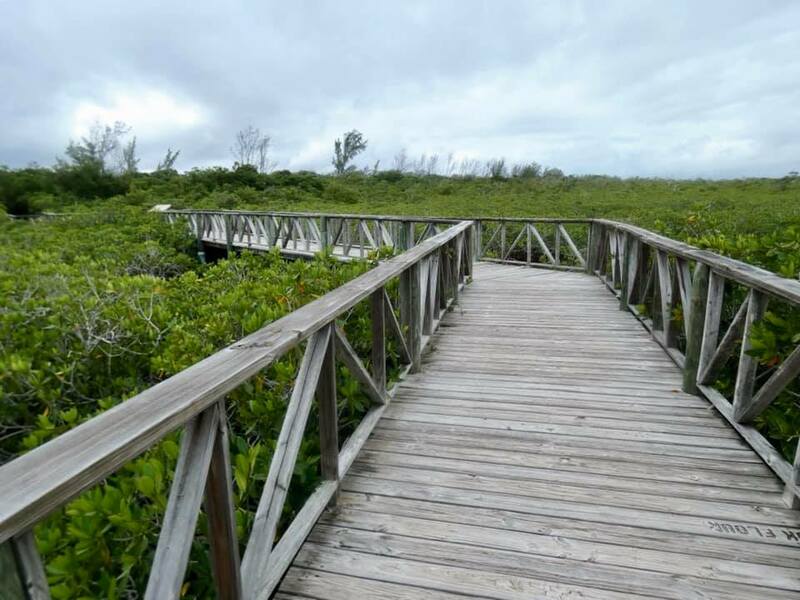 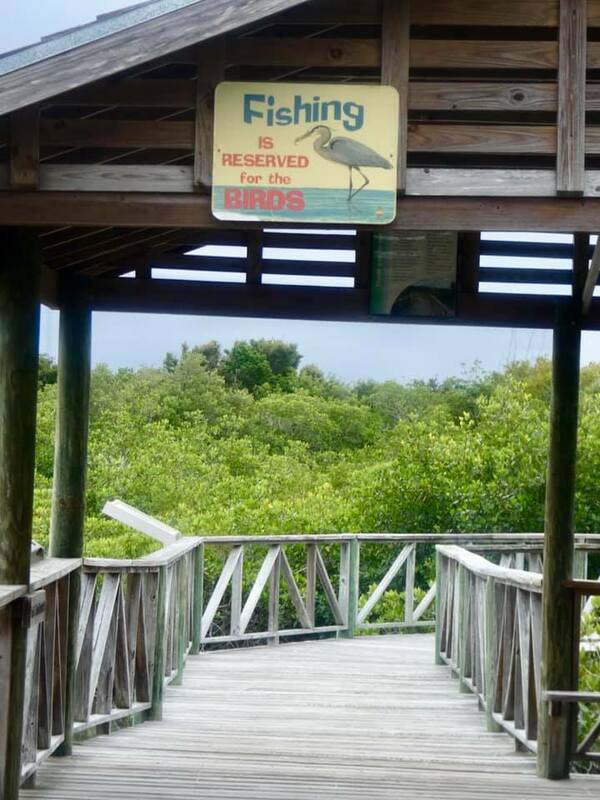 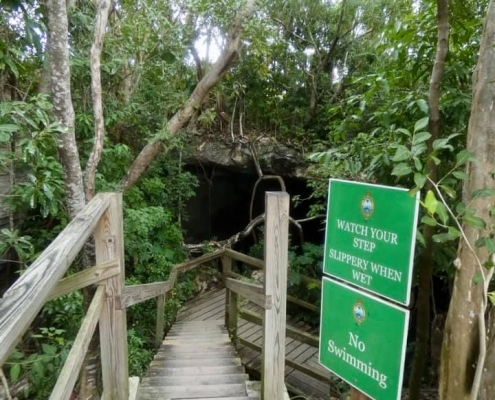 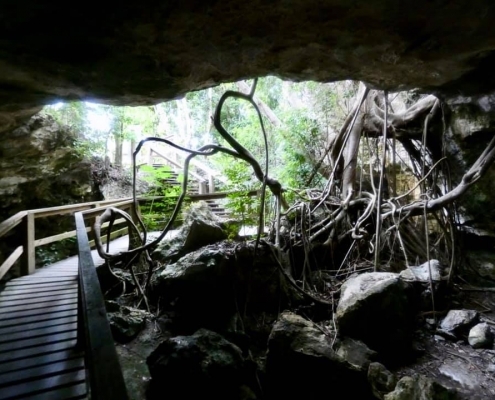 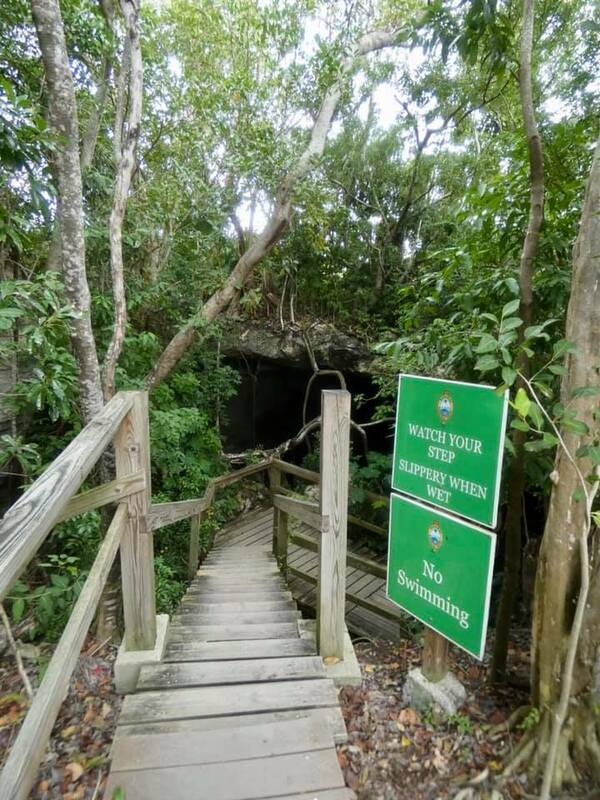 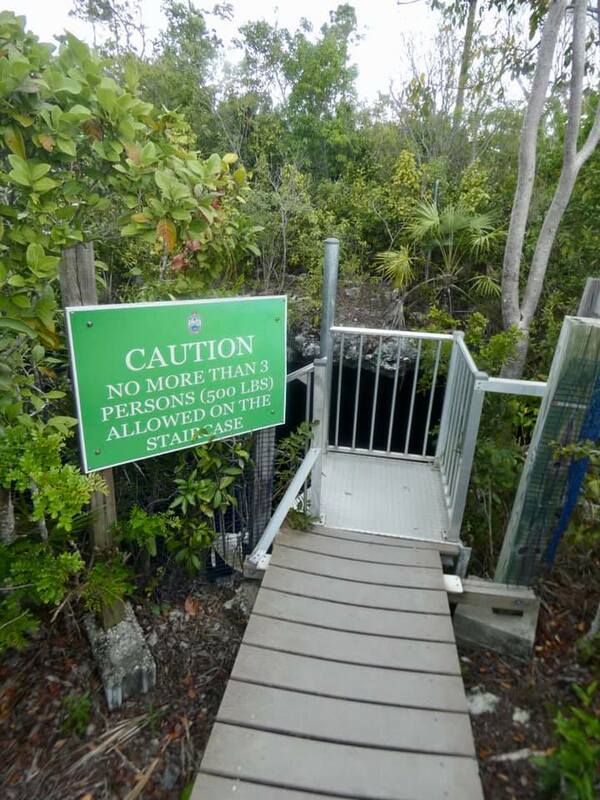 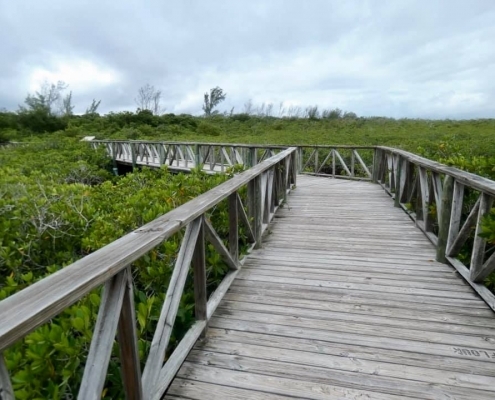 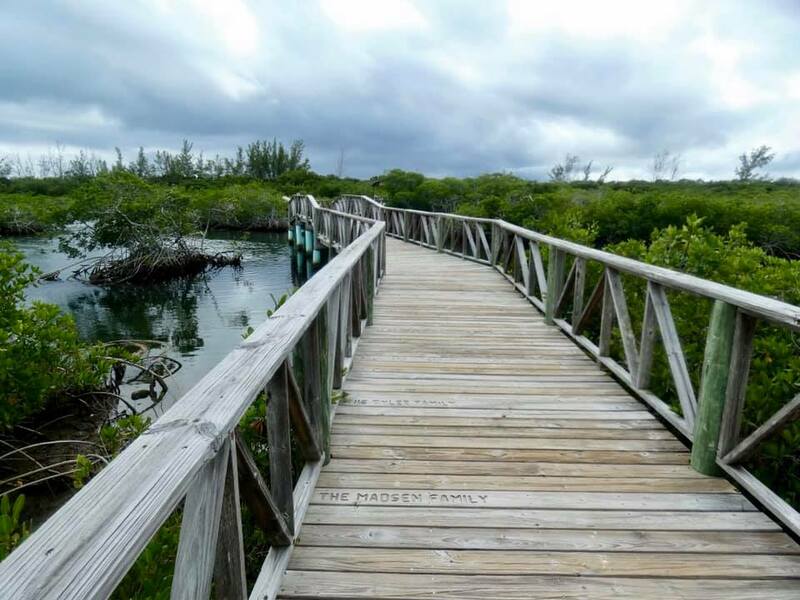 Between caves and the beach lies a strip of salt water wetlands and mangroves, great for exploring from elevated boardwalks. 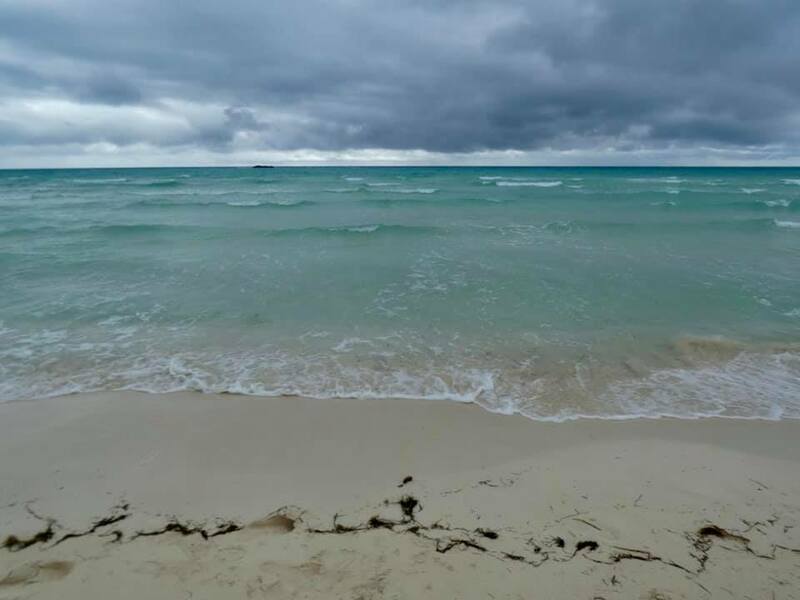 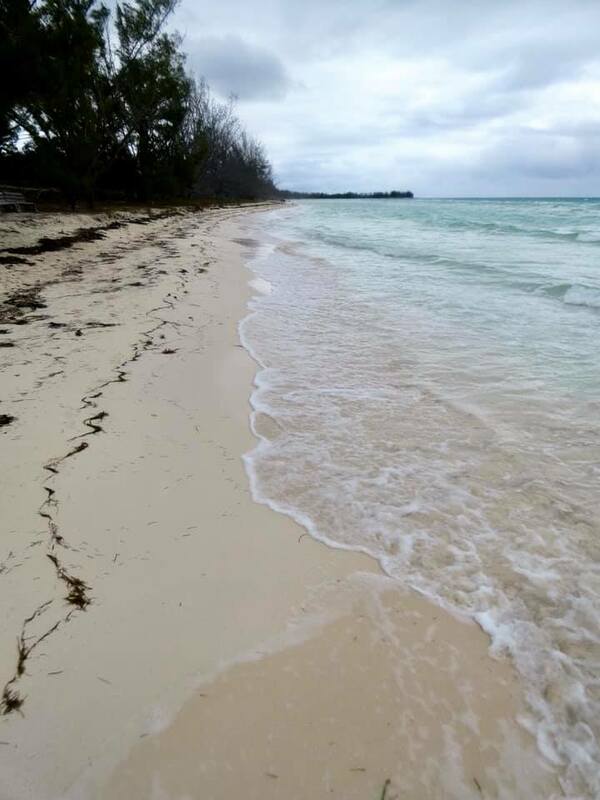 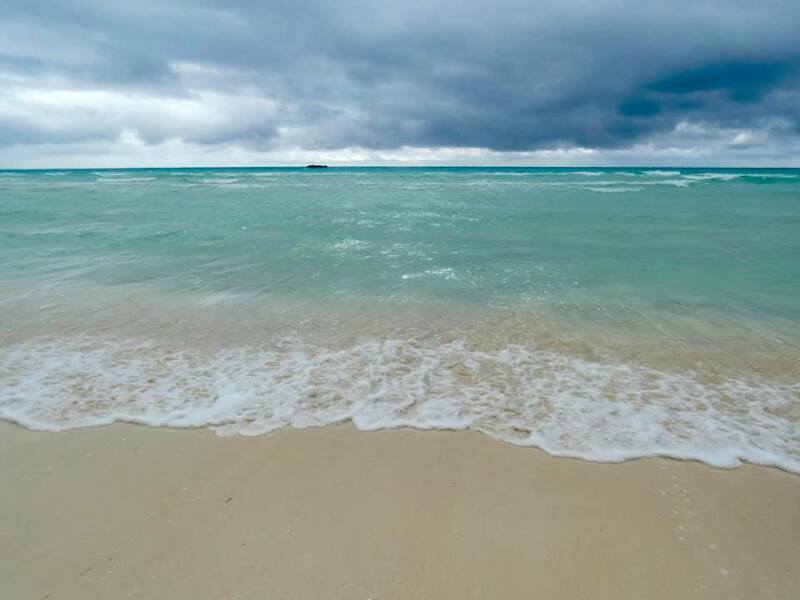 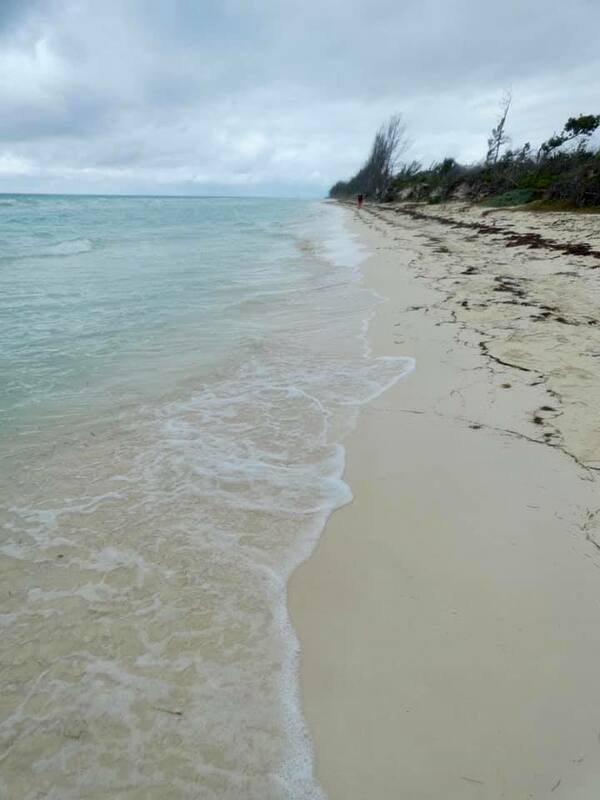 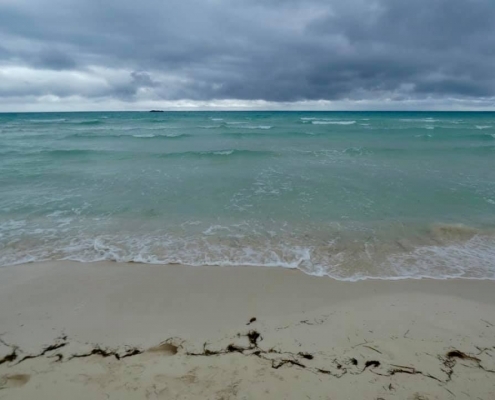 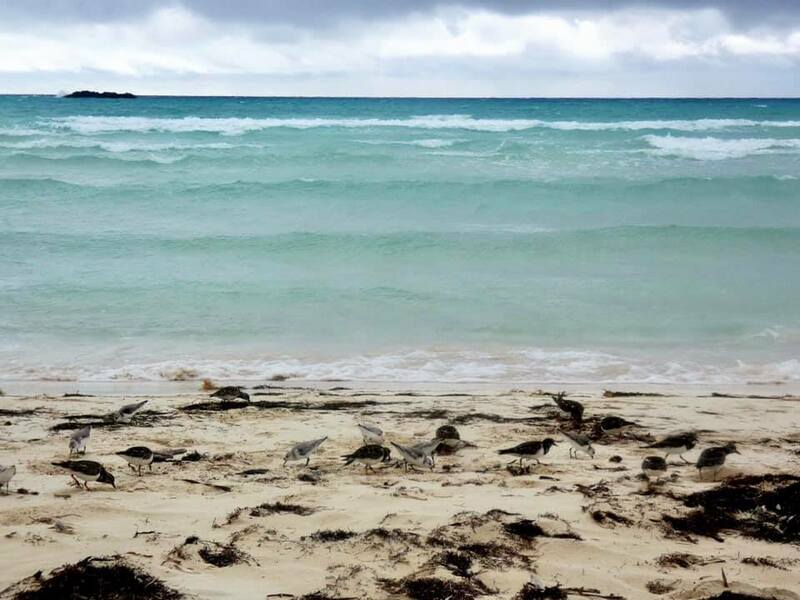 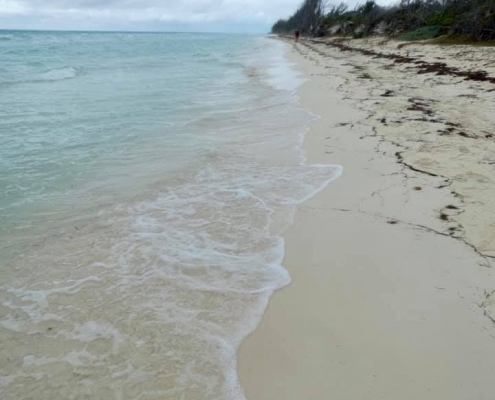 And finally, the Gold Beach is one of the most beautiful in Bahamas, although a grey and rainy day probably made it look mediocre.